Do not waste your money purchasing an excursion through the ship here. As soon as you get off the tender boat go to a vender and tell them what you want to do. They will give you a good price and great service. You can get a ride to medano beach, or tour of lands end, snorkeling, scuba diving, dolphin stuff and more for crazy cheap. Cabo review! Well our trip wasn't perfect but what one is lol. The weather was not cooperative for this port. We had a luxury sailing excursion booked through carnival, we were really looking forward to it. They had great reviews. Five min before we walked out the door to get a quick breakfast before heading to the FTTF tender waiting area, we got the dreaded pink slip under the door. Our excursion was canceled due to weather. So we went with our back up plan...and then our next back up plan lol. You see the back up plane was water taxi to Medando beach and Billygans (another tip from cruise tips tv). But guess what... the water taxis were not running either due to the rough seas. So next back up plan.. We took a land taxi to Billygan's at Medando beach. We got some loungers for a while, ordered drinks and shrimp ceviche(delicious). Which was all delicious. We later opted for a table and ordered the coconut fish to share(it was very good). The staff at Billygan's was super nice. They moved umbrellas around every once in a while to keep everyone who wanted shade in the shade. My limited Spanish(I can ask where the bathrooms are and order some food lol) and their limited English got us by. The bathrooms were clean. The vendors were super aggressive of you went outside the roped off area and somewhat aggressive even when in the ropes area but they do have security there at Billygan's to mostly ward them off. They take credit, USD and pesos. They have a sign right by the entrance on the street with the conversion amount listed. The staff helped us get a cab back to the port and we hoped in just as it started to down pour. We stopped in the market area and bought a few souvenirs , but didn't have much luck negotiating. Until we had $15 left im cash and Hubby wanted a shirt that the vendor wanted $22 for. He told them we had $15 left and the guy said okay. We had a super rough tender ride back to the ship, but on the bright side we saw a friendly sea lion. Alot of people freaked out about it lol But being from cali we 💜 them. They have such personalities. We love visiting Cabo. Medano Beach is a 20-30 minute walk around the marina. You can take a water taxi, but you miss out on so much along the way including the giant #cabo sign. Medano Beach is absolutely beautiful. The water is clean and you get the most beautiful views there. 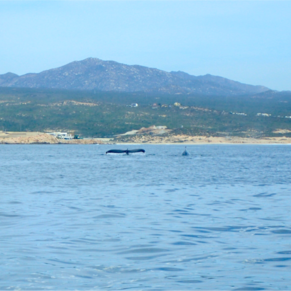 Whole reason we booked this cruise was to do whale watching in Cabo, and MAN did we enjoy a show!! We booked private boat with Whalewatchingcabo.com, A+++ rating!! 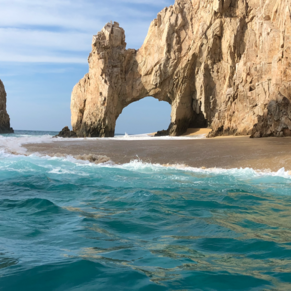 Cabo is lovely and we look forward to our next visit. 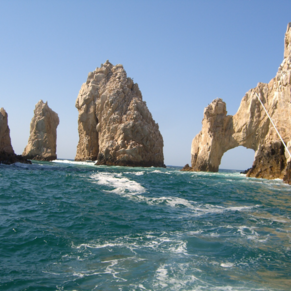 3 of 62 shore excursions in Cabo San Lucas, Mexico. 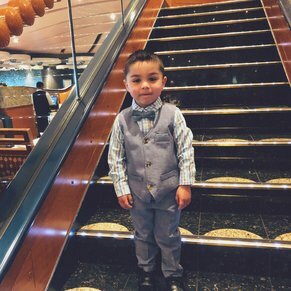 There are currently 8 discussions about Cabo San Lucas, Mexico.